14 The name of the slain man of Israel, who was killed with the Midianite woman, was Zimri the son of Salu, chief of a father's house belonging to the Simeonites. 15 And the name of the Midianite woman who was killed was Cozbi the daughter of Zur, who was the tribal head of a father's house in Midian. 5 Reuben, the firstborn of Israel; the sons of Reuben: of Hanoch, the clan of the Hanochites; of Pallu, the clan of the Palluites; 6 of Hezron, the clan of the Hezronites; of Carmi, the clan of the Carmites. 7 These are the clans of the Reubenites, and those listed were 43,730. 8 And the sons of Pallu: Eliab. 9 The sons of Eliab: Nemuel, Dathan, and Abiram. These are the Dathan and Abiram, chosen from the congregation, who contended against Moses and Aaron in the company of Korah, when they contended against the Lord 10 and the earth opened its mouth and swallowed them up together with Korah, when that company died, when the fire devoured 250 men, and they became a warning. 11 But the sons of Korah did not die. 12 The sons of Simeon according to their clans: of Nemuel, the clan of the Nemuelites; of Jamin, the clan of the Jaminites; of Jachin, the clan of the Jachinites; 13 of Zerah, the clan of the Zerahites; of Shaul, the clan of the Shaulites. 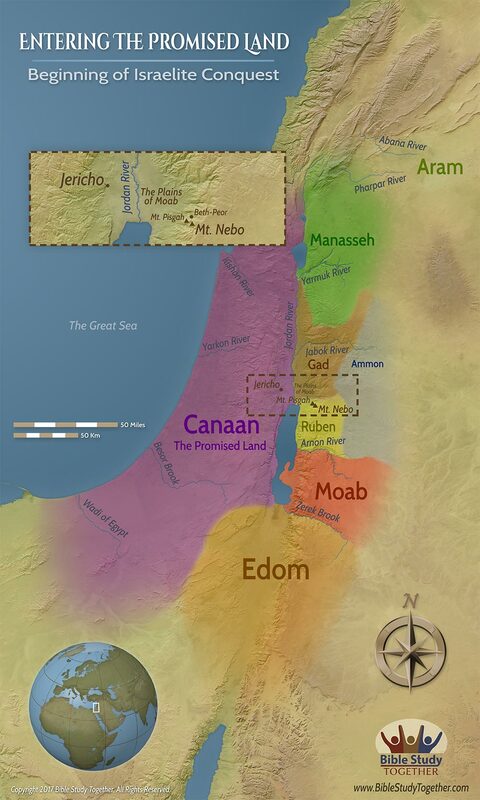 14 These are the clans of the Simeonites, 22,200. 25:1And Israel abode in Shittim, and the people began to commit whoredom with the daughters of Moab. 25:2And they called the people unto the sacrifices of their gods: and the people did eat, and bowed down to their gods. 25:3And Israel joined himself unto Baalpeor: and the anger of the LORD was kindled against Israel. 25:4And the LORD said unto Moses, Take all the heads of the people, and hang them up before the LORD against the sun, that the fierce anger of the LORD may be turned away from Israel. 25:5And Moses said unto the judges of Israel, Slay ye every one his men that were joined unto Baalpeor. 25:6And, behold, one of the children of Israel came and brought unto his brethren a Midianitish woman in the sight of Moses, and in the sight of all the congregation of the children of Israel, who were weeping before the door of the tabernacle of the congregation. 25:7And when Phinehas, the son of Eleazar, the son of Aaron the priest, saw it, he rose up from among the congregation, and took a javelin in his hand; 25:8And he went after the man of Israel into the tent, and thrust both of them through, the man of Israel, and the woman through her belly. So the plague was stayed from the children of Israel. 25:9And those that died in the plague were twenty and four thousand. 25:10And the LORD spake unto Moses, saying, 25:11Phinehas, the son of Eleazar, the son of Aaron the priest, hath turned my wrath away from the children of Israel, while he was zealous for my sake among them, that I consumed not the children of Israel in my jealousy. 25:12Wherefore say, Behold, I give unto him my covenant of peace: 25:13And he shall have it, and his seed after him, even the covenant of an everlasting priesthood; because he was zealous for his God, and made an atonement for the children of Israel. 25:14Now the name of the Israelite that was slain, even that was slain with the Midianitish woman, was Zimri, the son of Salu, a prince of a chief house among the Simeonites. 25:15And the name of the Midianitish woman that was slain was Cozbi, the daughter of Zur; he was head over a people, and of a chief house in Midian. 25:16And the LORD spake unto Moses, saying, 25:17Vex the Midianites, and smite them: 25:18For they vex you with their wiles, wherewith they have beguiled you in the matter of Peor, and in the matter of Cozbi, the daughter of a prince of Midian, their sister, which was slain in the day of the plague for Peor's sake. 26:1And it came to pass after the plague, that the LORD spake unto Moses and unto Eleazar the son of Aaron the priest, saying,26:2Take the sum of all the congregation of the children of Israel, from twenty years old and upward, throughout their fathers' house, all that are able to go to war in Israel.26:3And Moses and Eleazar the priest spake with them in the plains of Moab by Jordan near Jericho, saying,26:4Take the sum of the people, from twenty years old and upward; as the LORD commanded Moses and the children of Israel, which went forth out of the land of Egypt.26:5Reuben, the eldest son of Israel: the children of Reuben; Hanoch, of whom cometh the family of the Hanochites: of Pallu, the family of the Palluites:26:6Of Hezron, the family of the Hezronites: of Carmi, the family of the Carmites.26:7These are the families of the Reubenites: and they that were numbered of them were forty and three thousand and seven hundred and thirty.26:8And the sons of Pallu; Eliab.26:9And the sons of Eliab; Nemuel, and Dathan, and Abiram. This is that Dathan and Abiram, which were famous in the congregation, who strove against Moses and against Aaron in the company of Korah, when they strove against the LORD:26:10And the earth opened her mouth, and swallowed them up together with Korah, when that company died, what time the fire devoured two hundred and fifty men: and they became a sign.26:11Notwithstanding the children of Korah died not.26:12The sons of Simeon after their families: of Nemuel, the family of the Nemuelites: of Jamin, the family of the Jaminites: of Jachin, the family of the Jachinites:26:13Of Zerah, the family of the Zarhites: of Shaul, the family of the Shaulites.26:14These are the families of the Simeonites, twenty and two thousand and two hundred. 16And when even was now come, his disciples went down unto the sea,17And entered into a ship, and went over the sea toward Capernaum. And it was now dark, and Jesus was not come to them.18And the sea arose by reason of a great wind that blew.19So when they had rowed about five and twenty or thirty furlongs, they see Jesus walking on the sea, and drawing nigh unto the ship: and they were afraid.20But he saith unto them, It is I; be not afraid.21Then they willingly received him into the ship: and immediately the ship was at the land whither they went. 53And when they had passed over, they came into the land of Gennesaret, and drew to the shore.54And when they were come out of the ship, straightway they knew him,55And ran through that whole region round about, and began to carry about in beds those that were sick, where they heard he was.56And whithersoever he entered, into villages, or cities, or country, they laid the sick in the streets, and besought him that they might touch if it were but the border of his garment: and as many as touched him were made whole. 34And when they were gone over, they came into the land of Gennesaret.35And when the men of that place had knowledge of him, they sent out into all that country round about, and brought unto him all that were diseased;36And besought him that they might only touch the hem of his garment: and as many as touched were made perfectly whole. How did the Israelites make God angry? How did Phineas appease God’s Wrath? Why were so many people healed at Gennesaret? How does your faith compare to the people of Gennesaret? Bring the sick to Jesus in prayer.